The National Police press office confirms to NBC News that a “significant fire” is underway at Notre Dame Cathedral in Paris. Paris Mayor Anne Hidalgo called the fire “terrible” in a tweet, adding that firefighters were trying to control the flames. 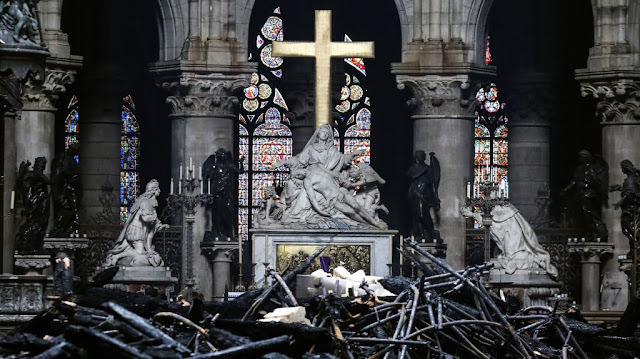 A fire is raging at the famed Notre Dame Cathedral in Paris on Monday, sending smoke billowing over the French capital.